What’s remarkably about The Sontaran Stratagem and The Poison Sky is that – despite the scale of the story – the stakes never seem too high. The Sontarans are plotting to destroy the world, and kill every man, woman and child living on the surface. And yet there’s never really a palpable sense of threat here. 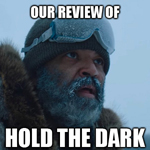 Even the episode’s cliffhanger seems tacked on here to generate the requisite amount of suspense, as if the entire planet suffocating isn’t a strong enough note to end the episode on. Instead, we get Wilf climbing into a car that he knows is emitting toxic gas and getting locked in. He claims that he has to get it off the street, which would be a noble sentiment if every other car on the street weren’t also emitting toxic gas. 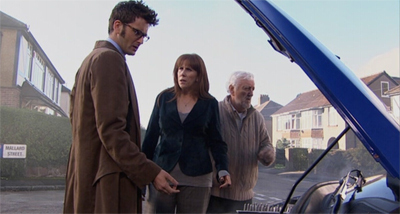 More than that, the episode ends as the Doctor and Donna frantically try to get Wilf out of a locked car, as his sonic screwdriver proves next-to-worthless. It’s hardly the most impressive of cliffhangers, even before it’s solved pretty quickly in The Poison Sky when Sylvia emerges from the house with a fire axe. It feels sort of perfunctory, as if the two-parter really needed some sort of personal angle on the whole “the world suffocates” plot, and this is what we got. A lot of The Sontaran Stratagem and The Poison Sky feels this way, with a sense that writer Helen Rayner is just checking off a big laundry list of ideas and set pieces and sequences as we get through the first two-part adventure of the season. This probably shouldn’t work, as we know from experience. Rayner was handed the story brief from hell when she was tasked with writing Daleks in Manhattan and Evolution of the Daleks, an over-stuffed little adventure that seemed packed to the brim with mediocre and occasionally terrible ideas. And yet The Sontaran Stratagem works a lot better, despite a similar amount of high concepts to work through. Part of this is down to the fact that The Sontaran Stratagem seems to have finally figured out what the series has been trying to do with these opening two-part adventures. Aliens of London and World War III, Rise of the Cybermen and The Age of Steel and Daleks in Manhattan and Evolution of the Daleks were all big bombastic high-energy adventures, focusing on a whole bunch of toyetic monsters for the BBC marketing team to seize upon. However, the episodes tended to get cluttered and convoluted when trying to deal with the more adult storytelling elements. Rose and Mickey’s subplots in Rise of the Cybermen both felt a little bit too tacked on, with the emotional pay-off from all those family reunions never quite working. The visuals of Daleks in Manhattan were quite striking, but the attempts to explore the relationship between the Doctor and his oldest adversaries fell flat. While farting aliens were never going to be well received, the most iconic part of The Aliens of London was the space ship smacking into Big Ben. These two-parters are very clearly aimed at younger viewers. It’s worth noting that there’s nothing wrong with that. The wonderful thing about the revived Doctor Who is that it is a “family” show in the broadest possible sense of the word. Children and adults are able to watch the show together and enjoy it equally. Sometimes they get different things out of different episodes, and sometimes some episodes appeal to adults more than children or children more than adults and vice versa. The second two-parter in a Davies season traditionally deals with more adult fears than the first two-parter. Aliens of London and World War III gave us farting aliens and running pig men, while The Empty Child and The Doctor Dances deal with sexuality and abandoned children. Daleks in Manhattan and Evolution of the Daleks feature bright and colourful Frankenstein homages and the beloved pepper pots, while Human Nature and Family of Blood explore morality and pacifism and identity. You can arguably deduce this from the titles of the episodes in question. The episodes of the first two-parter of a Davies season are quick to drop the high-concept right in there so the audience watching at home know what they’re getting. Rise of the Cybermen, Evolution of the Daleks, The Sontaran Stratagem. 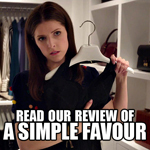 The second two-parter tends to be titled a bit more ambiguously, and perhaps even with a bit more sophistication or subtlety. What would anybody expect from an episode named The Doctor Dances? Forest of the Dead is a title so oblique that much on-line speculation concerned the wall-paper in the girl’s room. That divide between the two two-parters is also evident this season. Silence in the Library and Forest of the Dead will deal with the loss of a loved one and whole imagined lives, while The Sontaran Stratagem and The Poison Sky feature evil potato men, alien invasions and murderous cars. There’s is absolutely nothing wrong with either approach – nothing inherently superior or inferior about either objective. At the same time, it’s easy enough to see why the kind of people who discuss Doctor Who on the internet tend to favour Silence in the Library over The Sontaran Stratagem, even though The Sontaran Stratagem succeeds quite admirably at what it sets out to do. So, knowing that The Sontaran Stratagem has its own very particular set of objectives to accomplish, the episode works very well. 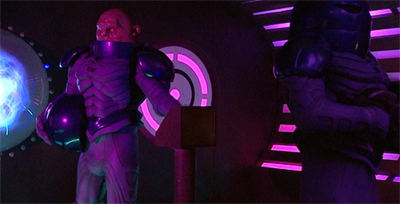 The episode, as the name implies, features the reintroduction of the Sontarans. Again, we’re seeing evidence that the show is growing more and more comfortable with pushing parts of its legacy and history to the fore. The revived series has so far resurrected the Daleks, the Cybermen and the Master. Once you get past those three, you’re very much left reintroducing “second-tier” antagonists from the show’s run, the characters that will be remembered by particular members of the viewing public, rather than iconic bad guys who have been absorbed into the British popular consciousness. 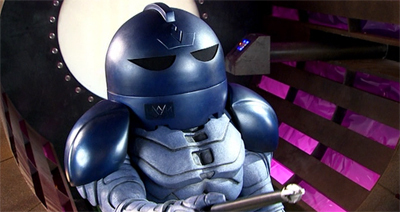 It doesn’t seem unfair to concede that the Sontarans aren’t iconic. They don’t have anywhere near the pop cultural cache of the Daleks or the Cybermen or the Master. They rank alongside Davros and the Silurians as “aliens an older relative would probably recognise but can’t name.” Not coincidentally, those other two Doctor Who stalwarts were the next to be resurrected for the series. The Sontarans are a nice memorable visual, but they’re really defined by virtue of never really being that memorable. 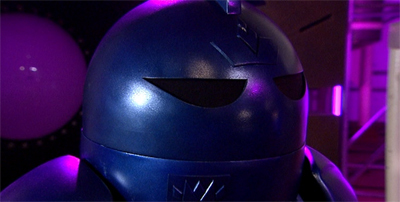 Their first appearance, the superlative Time Warrior, is better known for introducing the character of Sarah Jane Smith. They appeared in the most middling adventure of Tom Baker’s first season, a two-part throw-away story designed to help the season get the requisite number of episodes produced. In The Two Doctors, they are far from the headline attraction. In The Invasion of Time, the reveal that the Sontarans have invaded Gallifrey is a massive disappointment, as viewers can’t help but wonder where the Daleks or even the Cybermen are. The Sontaran Stratagem works because it never tries to force the audience to accept the Sontarans as a genuine world-class threat. In The Poison Sky, for example, it’s revealed that mankind probably could have defeated the Sontarans using the nuclear weapons, but the Doctor himself foiled that because he didn’t want the planet getting involved in nuclear war. The copper excitation field is all that gives the Sontarans an advantage over the U.N.I.T. soldiers, and when they lose that the battle is turned. Even the Doctor’s frustrations and unease over the course of the two-parter are revealed to be something of a ruse, as he eventually explains that he knew clone!Martha was a double-agent all along – playing right into his hands. There is the occasional moment of what appears to be genuine desperation on the part of the Doctor, but these are fleeting or later revealed to be staged. The general feeling of The Sontaran Stratagem and The Poison Sky is that the Doctor’s not really breaking a sweat here. It’s worth noting that The Sontaran Stratagem puts the Doctor through a less intense emotional wringer than the other opening two-parters. There’s none of the desperation of his “do it!” breakdown in Evolution of the Daleks, nor his terror when he realises that “it’s happening here” in Rise of the Cybermen, and not even a hint of his uncertainty about protecting his companion as seen in World War III. He never seems too worried about kidnapped Martha, knowing she’s alive. His worry about Donna leaving is immediately subverted. Even his attempt at self-sacrifice is underplayed rather than overplayed. In a way, this works to the advantage of The Sontaran Stratagem. Like Partners in Crime, the episode has a lightness of tone that feels welcome when considering some of the heavier adventures surrounding it. Certainly, The Fires of Pompeii or The Planet of the Ood are both episodes that put a heavier emotional strain on the Doctor than anything here. In comparison, The Sontaran Stratagem is relatively light-hearted. And the Sontarans are a massive part of that. Part of the problem with Evolution of the Daleks was the attempt to capture the sheer gravity of the Daleks while constructing a fun run-around two-parter around them. Thanks to Davies’ clever use of them during the first two seasons, and his work incorporating them into the new series’ back story, the Daleks carry such weight that using them as part of a lighter opening two-parter feels wrong somehow. Evolution of the Daleks seems intended as a fluffy historical adventure, and dropping the Daleks into that creates a strange dissonance that just doesn’t work. In contrast, the Sontarans are absurd, and the show embraces that. “He’s like a potato,” one U.N.I.T. officer observes. “A baked potato. A talking baked potato.” When Staal first shows up, he’s a figure of fun. “Is that a reference to my height?” he demands after the soldiers make a series of disparaging remarks about him. Playing off Bob Holmes’ portrayal of the species, the Sontarans are presented as over-compensating jocks. They even get the nerdy kid to do their homework for them. The Sontarans are competent. They can defeat U.N.I.T. soldiers with ease, for example, even though that hardly propels them to the heights of the Doctor’s rogues’ gallery. However, the show never tries to convince us that the Sontarans are anything other than ridiculous. Though the design of the species has been upgraded a bit, it’s nowhere near the design overhaul given to the Cybermen to make them seem threatening. The script also doesn’t bend over backwards to underscore how threatening this ridiculous foe is, like Dalek did. Indeed, while the Daleks and the Master were given gravitas in the revived show by being linked to the Time War, and the Cybermen and the Nestene were linked by association, the Sontarans are rather pointedly excluded from Davies’ expansive Time War mythology. “The finest war in history and we weren’t allowed to be a part of it,” Staal admits, feeling just a little bit dejected and let down by the whole experience. The Sontarans don’t get to play at the big boys’ table. It’s a very tough balance to get right, playing your bombastic bad guys as something of a joke without completely undermining any threat they may pose. It’s something that Star Trek: The Next Generation never managed to do with the Ferengi, the first major new alien race that spin-off attempted to introduce. It’s one of the strengths of Doctor Who as a show that the Sontarans can be little more than joke characters while still posing a credible risk to the planet and our characters. The Sontaran Stratagem continues the celebratory feel of the fourth season so far. Not only do we get the return of the Sontarans, we get a conscious attempt to push U.N.I.T. 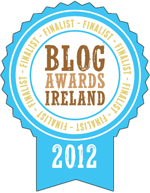 front-and-centre. Granted, U.N.I.T. have already appeared a number of times during the Davies era, but they really get in a push in this final stretch of episodes. They’re bigger players here than they were in Aliens of London or The Christmas Invasion, and they’ll go on to be a part of Turn Left, The Stolen Earth and even Planet of the Dead. Mace himself seems to be something of a fan, conceding, “I’ve read all the files on you.” It’s a shame that the character never returned to the show, even if he was a bit of a transparent stand-in for the Brigadier, who gets an explicit shout-out in The Poison Sky. As much as The Sontaran Stratagem and The Poison Sky are about reintroducing the Sontarans, they are also about rehabilitating U.N.I.T. somewhat, given how prone the organisation is to getting various parts of their anatomy handed to them. Working as a finely-honed U.N.I.T…. 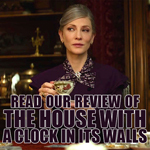 The episode also brings us up to speed on Martha, poor Martha. Again, we get a sense of how important continuity is to this season of the show. Partners in Crime featured a cameo for Billie Piper as Rose, and Freema Agyeman returns as Martha for three episodes in the middle of the season, with everything building towards a gigantic companion reunion in The Stolen Earth and Journey’s End. It’s telling that the episode’s teaser doesn’t end with the brutal murder of a reporter; instead the credits start on the reveal of Martha – obviously counting on a significant portion of the audience to recognise the character and her significance. Martha is very much the problem companion for the revived show, even more than any of the one-shot Christmas companions. 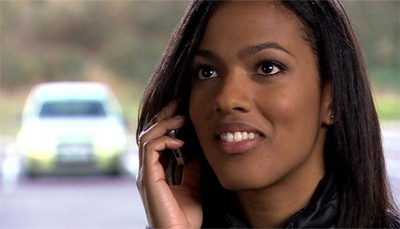 Martha was a character who primarily existed so that she could be defined in contrast to Rose, who was the revival’s first (and definitive) companion. As such, Martha was unlikely to ever measure up particularly well, especially when Davies decided to treat her relationship with the Doctor as a dysfunctional (and highly toxic) rebound. She was seriously interested in him; he was just looking for somebody to keep the console room warm. The Sontaran Stratagem tries to come up with some belated character work for Martha, to give her a bit of development and get under her skin. After all, given how big a deal Rose’s departure was in Doomsday, Martha’s farewell scene felt almost tacked on to the end of The Last of the Time Lords. So we get a practical demonstration of how travelling with the Doctor helps make people better – much like Donna’s encounter with the Doctor in The Runaway Bride changed her view of the world. The decision to marry Martha off is also a little bit too obvious. Davies has a bad habit of writing out important female characters by having them get married. We’re told that Martha is engaged to Tom Milligan here, and The End of Time, Part II will reveal that she eventually marries Mickey Smith – a reveal that comes out of three seconds of footage from the end of Journey’s End. Rose will get her perfect man as well, and Donna will discover that marriage is apparently a suitable substitute for a life of adventure she can’t remember. It’s a very lazy way to convey that Martha is “over” her infatuation with the Doctor. Indeed, running off to marry another doctor – and getting hitched fairly rapidly to another character after that – suggests just the opposite. 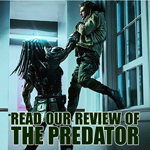 It makes it seem as though the Doctor isn’t the only character in need of a good rebound. Would it have been too difficult to simply have Martha get over the Doctor without getting engaged to either (a.) “a doctor who disappears off to distant places”, or (b.) somebody else who wound up feeling rejected from the TARDIS? Indeed, Martha seems to exist here to fill the stereotypical companion role. She even gets a nice loud “scream” scene, the most archetypal of the Doctor Who companion scene. 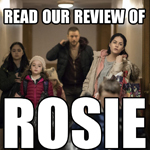 While Donna gets to go home to her family and to briefly reconnect with her life, Martha fills the more generic plot function of investigating strange goings-on and getting trapped by strange alien intelligences. Her family and her life outside of the Doctor and U.N.I.T. is only fleetingly brought up in expository dialogue. 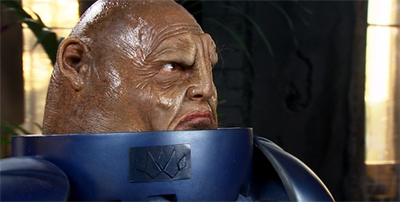 The Sontaran Stratagem hints at the same sort of internal character conflicts that Davies has been pushing to the fore during the fourth season. The Doctor is a complex and contradictory figure, and he has been for a lot of the show’s run. It’s hard to reconcile the character’s anti-authoritarian mindset with his gainful employment as part of an international paramilitary. He’s quick to lecture Harriet Jones about the defence of the realm, but he’s also quite willing to miss a subtle coup by the Master. He wouldn’t ask Martha Jones to kill, but he’d make her spend a hellish few months as a maid in an early twentieth-century boarding school. It’s a succinct criticism of the Doctor, very much in line with his confession in The Planet of the Ood that he was completely oblivious to the suffering of the Ood during The Impossible Planet and The Satan Pit. 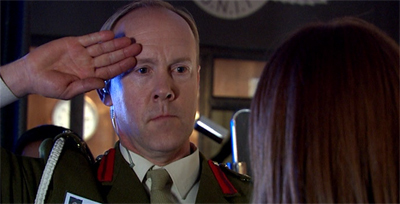 One of the great things about the Davies era is the fact that there’s no clear-cut right answer to all of this – the Doctor is quite brilliant, and his moral principles are definitely praise-worthy; but he’s also short-sighted and often can’t see past the immediate consequences of his own actions. Again, Davies is clearly building towards the Tenth Doctor’s dramatic fall from grace. And, again, we get a sense that Donna is markedly different from the other companions so far on the show. 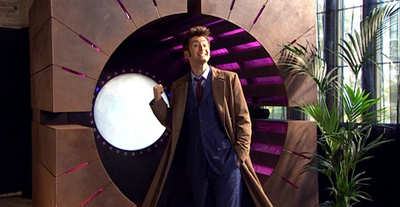 The episode opens with Donna learning to fly the TARDIS, which is the first time we’ve seen a companion do that since the era of the Fifth Doctor. Indeed, the last female companion to learn how to fly the TARDIS was Romana, a character who bears quite a few similarities to Donna. Indeed, the dynamic between the Fourth Doctor and Romana was very much mother and father to Adric and K-9, somewhat similar how Donna acts towards Martha here. Martha and Donna are introduced on friendly terms, in marked contrast to the last meeting of companions who travelled separately. Sarah Jane Smith and Rose Tyler tore strips out of one another in School Reunion before learning to work together. In contrast, Donna is immediately glad to meet Martha, and quick to trade stories and commiserations. Donna and Martha aren’t rivals – they aren’t competing against each other in the same role. Though they are both companions, they aren’t comparable in the same way that Rose and Martha or Rose and Sarah Jane were. 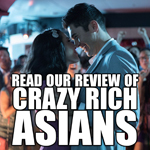 There’s a lot of fun stuff here, even if the show is still struggling with Martha, even after her departure. 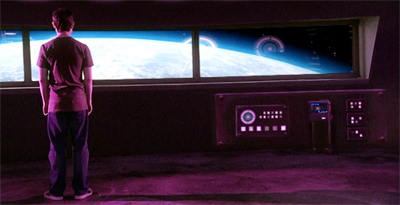 Still, The Sontaran Stratagem is probably the best constructed opening two-parter of the Davies era. 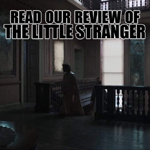 It’s hardly the most impressive of accomplishments, but it’s an episode written with a much clearer purpose, and a much tighter grasp of what it’s trying to do.